Clean and sophisticated styling define our new Ruffino MGF Cushion Collection. 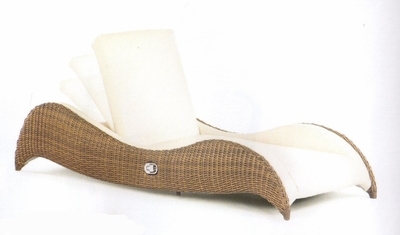 This collection utilizes a frame constructed of aluminum, woven over top with Viro� round Red Pine resin and completed with cushioned marine grade fabric. The Ruffino Collection will fit any outdoor living space and provides as much shade as desired. The fit and finish of this set, as well as the extra plush MGF cushions are sure to impress any guest. Built in hydraulic reclining function is the icing on the cake.